San Francisco is losing its luster. Skyrocketing real estate prices have already driven out much of the city’s fabled bohemian culture, except for the version co-opted by Burning Man techies. Now, those same techies are themselves looking elsewhere. Ride-hailing company Lyft recently told Re/code that instead of buying more property in San Francisco, it’s setting up an engineering hub in Seattle and adding a customer support team in Nashville. Apple is decisively avoiding the city, choosing instead to build a second massive “spaceship” campus in the suburbs. Meanwhile, a wave of smaller companies and creative firms are looking across San Francisco Bay. But the most significant move by far is the decision by the latest tech boom’s most valuable startup, ride-hailing giant Uber, to land a major part of its operations in Oakland. So it’s understandable that the immediate reaction wasn’t all enthusiasm. 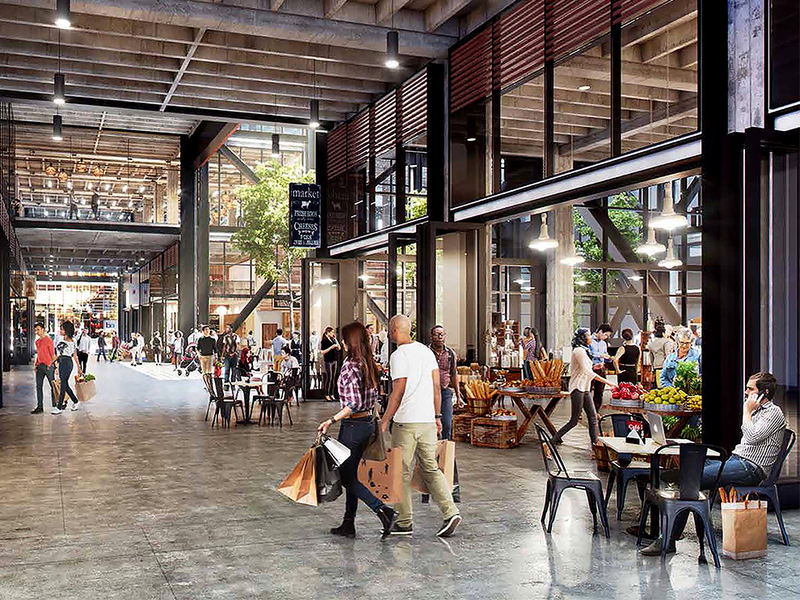 The fear, it seemed, was that a company of Uber’s caliber moving into Oakland might mean the same gentrification that San Francisco has faced—the displacement of bodegas and rent-controlled apartments in favor of luxury condos and artisanal toast shops. Psst, tech workers: Oakland is terrible. No wifi or cold brew, municipal hoverboard ban, basically uninhabitable. Definitely stay in SF. At the same time, others wondered why it has taken so long for a major tech company to move into Oakland, a city that boasts plenty of office space and a decent transit system right in the Bay Area’s geographic center. Beyond very few tech companies, including music streaming service Pandora and Ask.com, a search engine from the first dot-com boom whose faded logo is still visible from the I-880 freeway that leads into San Francisco, no instantly recognizable tech companies have really put down roots in Oakland. Why? Yes, now more than ever, Oakland seems like an ideal option for tech companies looking for office space in the super-heated Bay Area real estate market. But Oakland’s culture of progressive protest is sure to push back. It might seem counterintuitive, but one of the very few companies that does have the stature—and, in some sense, the belligerence—to muscle into that environment is Uber. What happens next will be the true litmus test for whether Oakland and tech companies really can mix. Uber, for its part, has said it’s going into this deal with its eyes open. “We have received an incredibly warm welcome in Oakland and remain committed to continuing to invest in the community and build relationships as we work to open our headquarters’ doors in 2017,” Laura Zapata, a spokeswoman for the company, tells WIRED. From the beginning, the company has sought to give the appearance of an amicable relationship with the city. Renee Atwood, Uber’s global head of people, and Oakland’s mayor, Libby Schaaf, stood together and looked like a team when they jointly announced Uber’s plans. But while Uber’s move may be painted with optimism, it is also a product of having little other choice in today’s brutal Bay Area real estate markets. 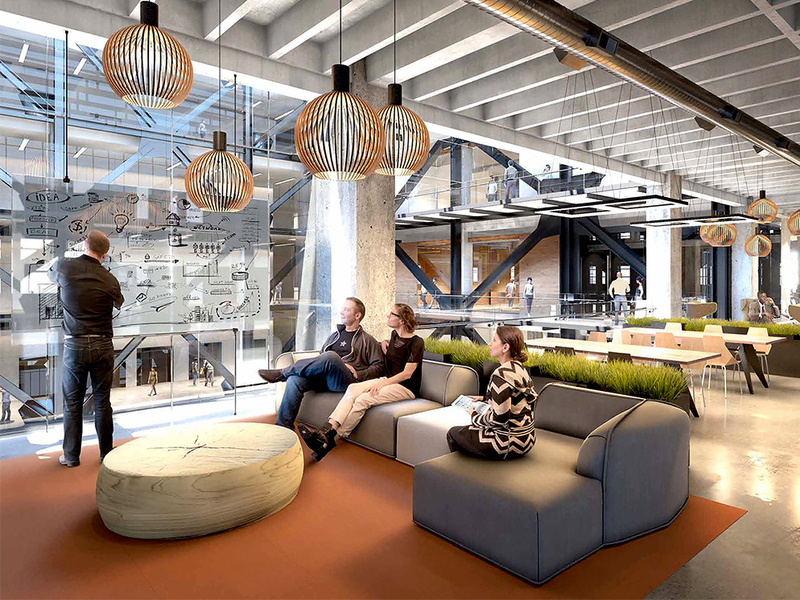 The latest tech boom has inflated commercial rents across the entire San Francisco Bay Area. But nowhere have the effects been quite as dramatic as in the city of San Francisco itself. In 2010, the average rent for office space fell to just $34.02 per square foot, and office spaces of 100,000 square feet or more were still on the market. The city went so far as to change local tax laws to make itself a more attractive host to tech companies, notably Twitter and Zynga. That was then. A mere five years later, San Francisco’s tech boom has pushed up office rents by 122 percent, according to real estate company CRBE. The average price per square foot for so-called Class A office space in San Francisco is now $67.99—nearing the first dot-com bubble’s peak of $73.64 in the third quarter of 2000—and office vacancy in San Francisco is currently at 5.7 percent as of the second quarter of 2015, making it difficult and costly for companies to find space to expand. Commercial real estate firm Cushman Wakefield, meanwhile projects that full-service office rents will rise to more than $76 per square foot by 2019. 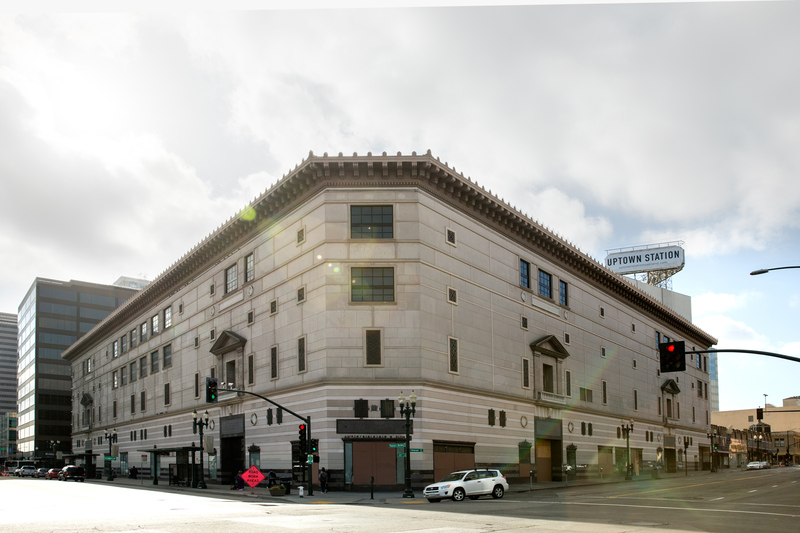 According to The San Francisco Business Times, citing anonymous sources, Twitter has even ditched its San Francisco expansion plans—in part perhaps because of a slowdown in company growth, but also, no doubt, because of astronomical real estate prices. In contrast, Oakland has about 4 million square feet of office space, with 10.1 percent vacant, according to commercial real estate consultancy JLL. And though prices have consistently risen in Oakland, the average asking rent per square foot is still only $31.92. Besides, says Gabriel Metcalf, president of the San Francisco Planning and Urban Renewal Association (SPUR), which has advised Mayor Schaaf’s housing council, Oakland has already been wrestling with the downside of the current tech boom in the form of rising rents for housing, as displaced San Franciscans look for cheaper options. “What I hope can happen now is that Oakland can get some of the benefits of the tech boom in terms of jobs and revenues to support city services,” he says. As a symbol of the tensions between Oakland’s commercial and political life, the building Uber bought couldn’t be much more potent. In July 2012, when it was still a Sears department store, Oakland residents took to the streets to protest the acquittal of George Zimmerman in the shooting death of teenager Trayvon Martin in Florida. Windows on the building were smashed. Instead of fixing them, Sears left them covered with plywood. The mayor’s office handled the Uber deal the exact right way, SPUR’s Metcalfe says, by not offering the company special incentives. Instead, Uber bought the building outright. “[They’re] basically saying, ‘If you come to Oakland, we want you to want to be here, and we don’t want to have bribe you to be here,’” says Metcalfe. But perhaps it couldn’t have happened another way. If Oakland had provided incentives for Uber, it’s easy to imagine that residents themselves would not have supported them. Techcrunch‘s Kim-Mai Cutler astutely points out in a recent piece that diversity, social justice, and yes, even a sophisticated grasp of tech are very much already sown into the fabric of society in Oakland. Local organizations like Hack the Hood, Telegraph Academy, and Black Girls Code, not to mention entrepreneurs like Mitch Kapor and Freada Kapor Klein, have already demonstrated years of thinking deeply about inclusion. Tech, meanwhile, clearly hasn’t done the same. That was painfully apparent in one moment Uber’s joint appearance with Schaaf. A reporter pressed Uber’s Atwood on the company’s diversity numbers, and Atwood could only point to the recent hiring of ex-Googler Damien Hooper-Campbell as the company’s new global diversity and inclusion lead. The company was growing quickly, Atwood said in an apologetic tone, and 60 percent of full-time Uber employees just had been hired in the past six months. The implication was that with such breakneck growth, either Uber had not been able to pause and consider diversity as a main priority, or it had not yet been able to collect the data. Either way, it was an uncomfortable moment for the company. “We’re literally building the programs right now with Damien on board,” Atwood said. “Tech has resisted, if you will, opening up the ugly underbelly of who is in their top ranks. It is not just a glass ceiling, it is often a ceiling that doesn’t have people who look like Oakland,” says David McCuan, a political science professor at Sonoma State University who studies Oakland politics. 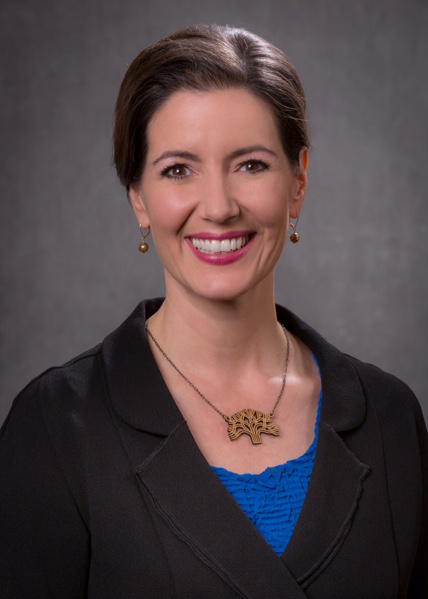 On the other hand, McCuan says, Oakland’s long legacy of social and political action will end up challenging not just Uber for dodging such issues, but also Libby Schaaf and her administration. “There are enough organized, sophisticated interest groups in Oakland who will will say, ‘That’s not enough,’” says McCuan. In the meantime, McCuan thinks there was no stopping a deal that could ultimately be an extremely successful experiment. The Schaaf administration has already shown that aligns itself, politically and strategically, with tech. Now, McCuan says, it could the administration’s real chance to prove whether it can pull off the Oakland-tech alliance capably. “It’s splashy by all parties concerned, and it involves … that constellation of indicators that have arrived at the right time,” he says.